Be Informed. Avoid Crooked Consultants. 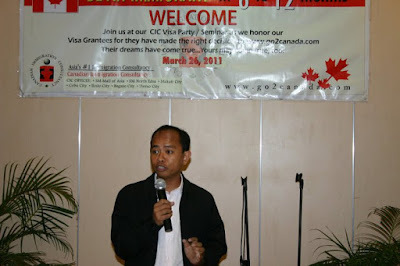 - Gateway to Canada | Canada Immigration Consultancy! Be Informed. Avoid Crooked Consultants. 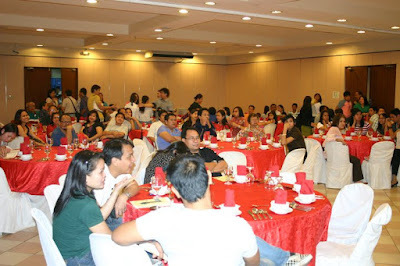 Last Saturday, we conducted a Visa Party at Aristocrat Restaurant. 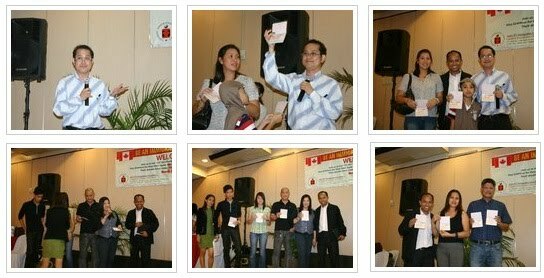 It's basically a celebration for our successful clients and an in-house pre-departure orientation to get them prepared for their new life in Canada. We awarded visas to 25 clients, who will soon be moving to Canada within the next few months. During the event, I also conducted orientation for those just exploring their options, for those who are planning to live and work in Canada. If you are interested to live and work in Canada, here's some of our seminar schedules for the month of April 2011. You can be one of these clients who now have their visas. That is if you are serious and determined to have it. Attending our seminar will equip you with information to learn your options. There are several immigration programs which you may be eligible depending on your circumstances. You don't need immigration consultants if you know how to process your application. But if you are planning to get an immigration consultant, beware of new agencies who do not have a track record and do not know what they are doing.